I actually like it. It's like a Eko from the 60's-70's. I don't know any Eko like that, but it looks like a Giannini (Brazilian company). I want a Yamaha sg3 so bad. 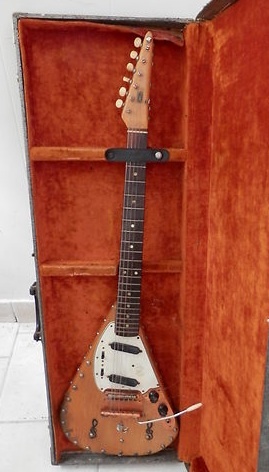 Looks kinda like a Fernandes Nomad .. Or a Johnson .